Good food is really a blessing, isn't it? 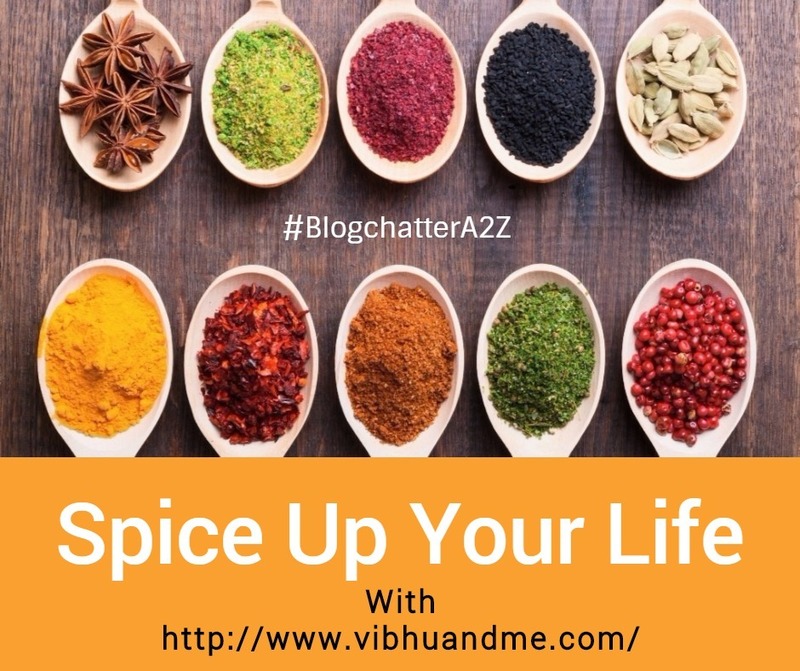 And as I am talking about those who really go into making an average food to finger licking, I realized our spices undoubtedly do magic with the everyday food. 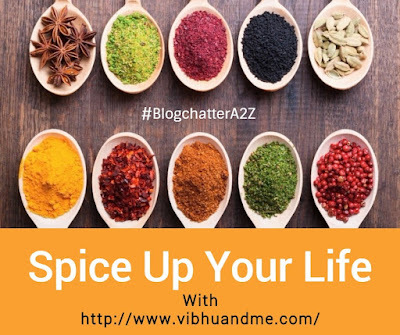 Apart from the basic ingredients and a well-known, trusted recipe, a play of spices and herbs can really lift up a preparation. Every region in India uses spices to make their local food extraordinary. It is only a matter of spices that change the taste of the same Shambhar in Tamil Nadu, Kerala and in north India. We all make Chole but the game of spices do something to what we relish as famous Panjabi Chole. It is all about the little nuances that go into creating a dish from ordinary to exceptional. A handful of spices always remain in our kitchens and we know their unique flavors. However, there are a number of spices are little unheard-of. While these form an essential part of a few local innate cuisines in some part of India, the rest of India does not know much about them. One such spice is Kalpasi. Kalpasi is called a mystery flower or black stone flower. In local Indian dialect, it is often referred as Dagad ka Phool or Patthar ka Phool. Just look at the pic on the right side. Do you recognize this spice Kalpasi with other spices (cinnamon and cardamom)? You may not, and this is very obvious as Patthar ka Phool is not an extensively used spice as Cardamom or Cinnamon are. Though not much is known about its production, it is believed that a few places in Tamil Nadu, Ooty, and Kodaikanal harbor this rare spice. 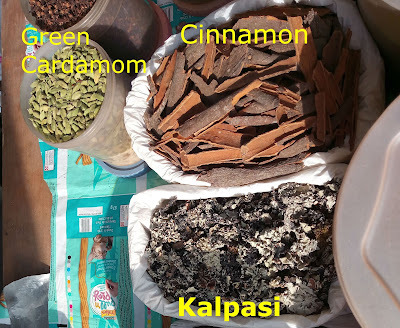 Kalpasi is a peculiar spice with a peculiar shape. If you ask the shopkeeper to give you whole Garam Masala mix, it can be found there along with other spices. In South India, it is a mandatory part of curry masala. As it's origin is assumed in South India, the name also comes from there only. In Tamil, ‘Kal’ means Stone and ‘paasi’ means light green moss. It actually looks like moss and does not have a particular shape. It is so light that it can be easily puffed away with a blow of air from mouth. 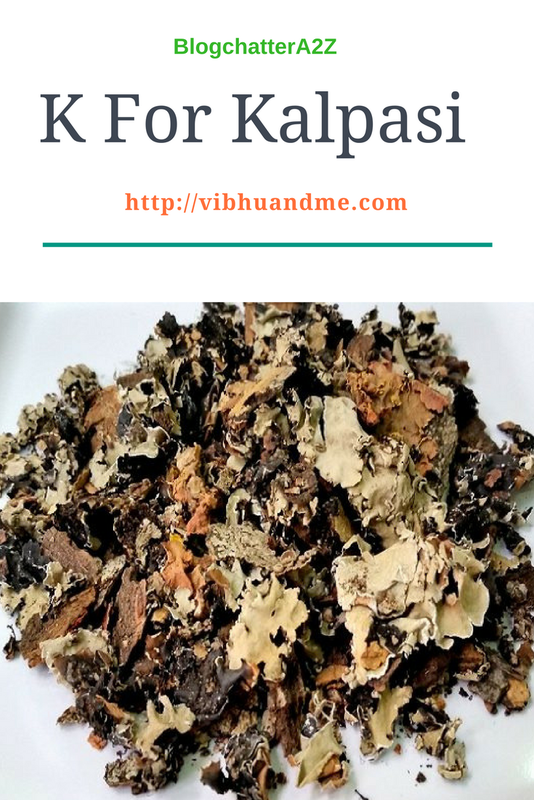 Kalpasi is a type of lichen/fungus that grows on rocks in running streams or rivers or on trees in hill stations. Like other spice, it really does not possess any specific aroma in dried form. You really would not be able to get its fragrance if smelled raw. However, it releases a very strong aroma when tempered for curries and gravies. Upon roasting, it releases a strong smell similar to star anise. Other than being used in South, Patthar ka Phool is a vital ingredient of Lucknow's Mughlai cuisine. When I was doing some research on spices in my nearby market, I asked the shopkeeper about Patthar ka Phool. He replied that he has been selling this spice since last 20 years but he really doesn't know the use of this light puffy spice that has no aroma at all. 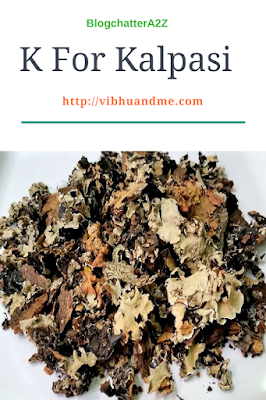 It is assumed kapha and pitta suppressant. A good pain reliever and also promotes early healing of wounds. It acts as an expectorant, antibiotic and astringent. It helps in avoiding the calculi and it helps in maintaining the normal body temperature. It is also used as anti-fungal and anti-viral agent. A paste of Kalpasi with hot water is when applied over the swelled area, gives a quick relief. As I already mentioned, most of the shopkeepers have Kalpasi/Patthar ka Phool in their stores. But they may know it with a different name depending on the region. In UP, it is Patthar ka Phool. In Maharashtrian cuisine, it is Dagad ka Phool. So, you might need to ask specifically by giving hint as it looks like fungus. I honestly did not know this one... wow. I thought I knew most of the common ones by now.